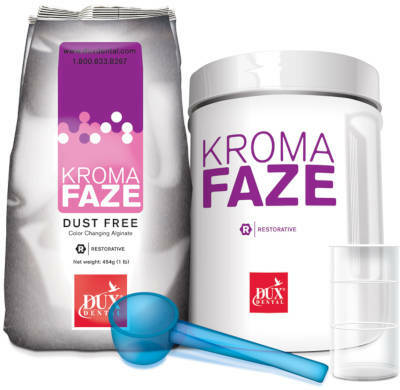 The physical characteristics of KromaFaze allow for an easy-to-mix material with a remarkably smooth surface. Purple FAZE indicates mixing phase; Pink FAZE indicates loading phase; and the White FAZE indicates seating phase. The tray can be removed 30 seconds after seating.